I heard that downtown San Francisco had their Christmas decorations out several weeks ago. I guess, like it or not we were forced to consider Christmas before Daylight savings time ended. So when you are considering what you are going to do for who, please consider a Christmas present for the Foundation Language Clinic. Unlike other Masonic charities that have athletic events to bring attention (and contributions) to their work, our Language Clinic relies on the support of the members of the Valley of San Jose. The Clinic continues to provide services even though the area schools are cutting way back on language disorder services leaving many area families unable to obtain help for their children. 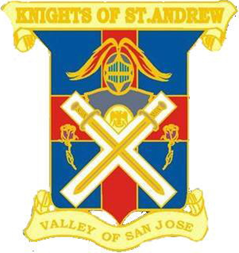 So, as you wade through the coming flood of Christmas advertising and charitable solicitations, remember that our San Jose Scottish Rite Foundation Language Clinic is a LOCAL charity that benefits children in our own community. Please remember leave room on your shopping list for a donation to your Clinic.